Patricia F. Jones (Pattie) was born on April 18th, 1940 in Charlotte, NC to W.M. and Lillian Ferguson. She was the oldest of 4 siblings. She took her wings to be with the Lord on February 11th, 2019. Patricia attended the Charlotte-Mecklenburg school system where she was a proud graduate of Second Ward High School. After graduating from high school Patricia attended Shaw University in Raleigh, NC, where she received her Bachelor of Arts degree in early childhood education. Upon graduation in 1963, she accepted a teaching assignment in Hendersonville, NC at Ninth Avenue School. After 2 years, she accepted a teaching position at Billingsville Elementary in Charlotte, NC. While teaching in Billingsville was rewarding, with the onset of desegregation, Patricia moved to Shamrock Gardens Elementary, which was a predominately white school also in Charlotte. After a short stint at Shamrock Gardens, she returned to the Hendersonville City School System to teach at Bruce Drysdale Elementary. Patricia taught for well over 20 years at Bruce Drysdale, but even after retirement, she still would still substitute on occasion. During her teaching career at Bruce Drysdale, she was a beloved and admired teacher that instilled in her students the love of learning. To her colleagues, she was admired as an educator, friend and confidant. 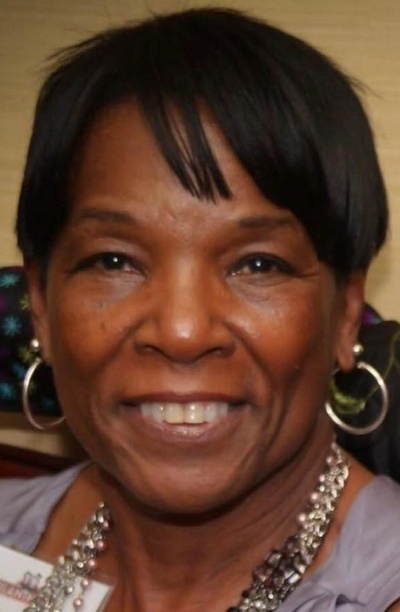 Patricia was a faithful and dedicated member of Star of Bethel Missionary Baptist Church. She served as president of the Mission Circle for many years, as well as many other capacities such as the driving force behind Black History Month activities. Her love, grace and presence will be missed. Upon her retirement Patricia served on many boards throughout the City of Hendersonville and surrounding areas, where the community embraced and recognized her contributions. Left to cherish her memories is her loving husband for well over 50 years, Lemuel Jones of Hendersonville, NC, son Anthony “Kelly” Jones (Anicia) of Wylie, TX, two grandsons, Jaylen Jones (Brittany) of Richardson, TX and Courtney Jones of Wylie, TX, great grandson, Kyree Jones of Richardson, TX, sister Marian Reid of Charlotte, NC, brother, Lorenzo Ferguson of Mitchellville, MD. Also surviving are brother-in-law, James Pilgrim Jr (Juanita) of Fayetteville, NC, three sisters-in-law, Gracie Morris (Bernard) of Altamonte Springs, FL, Sandra Vance of Philadelphia, PA, and Carolyn Booker of Las Vegas, NV and a host of nieces, nephews, relatives and friends. Patricia was preceded in death by her parents, W.M. and Lillian Ferguson, and brother Melvin (Ray) Ferguson. She was also preceded in death by two brothers-in-law, Cary Booker and Willliam Reid, and sister-in-law, Carole Ferguson.